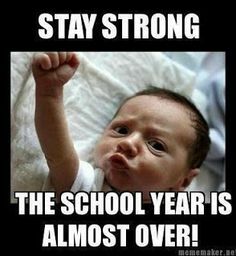 Wednesday June 3rd - LAst Day! Practice Exam for bonus marks - due June 5th, before your exam. I will be marking the Making Connections Paragraph and the Original Composition. It's been a slice! Thank you for a wonderful year. Sure, we've had our ups and downs, but I hope you enjoyed your year of gamification, written reflection, and play. May you all have an exciting, beautiful, and safe summer! Silent Reading - 40 points due tomorrow! I couldn't believe what I found at the garage sale! After I pressed send, I realized it was to the wrong person! This is what my life looks like when no one is watching. Start preparing for your exam!! On Friday, you will write an in-class paragraph that COMPARES these two articles. Poetry Scavenger Hunt Next Class! AR - as usual - JUNE 2nd is the last day! Genius Week - drawings, procedure etc. You are responsible for completing homework and assignments on time. If you need help - ask for it - BEFORE the deadline.